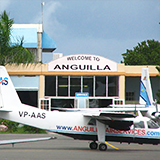 Only a few months after our unforgettable Anguilla flight, during which we circled the whole island, my Mom and Dad got a chance to try Carl and Nanette's flights to Anguilla, their airline Anguilla Air Services, "for real." 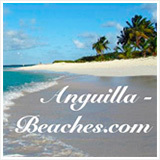 ... and find your fastest and cheapest flight to Anguilla here. The best Anguilla flights from New York (and to NY, of course) is actually NOT to Anguilla because you'll always have at least one or two stops before arriving. 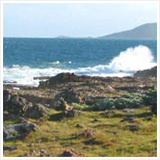 Instead, it's often best to go via St. Maarten. 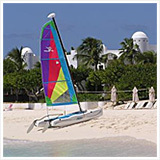 Jet Blue offers the best of Anguilla flights. It's non-stop to St. Maarten. For a small amount more, you get a row with more leg room (first class (well, almost!) for economy class price!). Free movies. 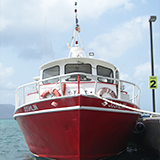 Then take the quick and easy Anguilla ferry system from St. Maarten. My parents were scheduled to fly from Anguilla to New York (via St. Maarten) for a long weekend Columbus Day trip to Cape Cod. This year had marked 10 years since we had last been to Provincetown. Yuki and I had many warm memories of time spent on the Cape as young children. We used to drive there twice a year from Montreal. I remember the smell of the sea as we would get out of our car (or get carried out, if we were half-asleep during a night arrival) and into our inn. Mom started giving me weather reports. There was a tropical depression over the Leeward Islands which included Anguilla and it was dumping rain by the bucketful on the island. It had rained 4, 5, 6, 7 days straight, with no respite in sight. The ferries had all been closed due to "ground seas" (seas that are churning so hard that even the bottom is all ground up). Each day, Mom would phone giving me the latest update on the conditions. Finally two days before their scheduled departure, Kay from Link ferry called my mother and told her that Blowing Point terminal would likely be closed on the next day, too, our day of departure. My parents brainstormed up an idea... "Let's fly over!" 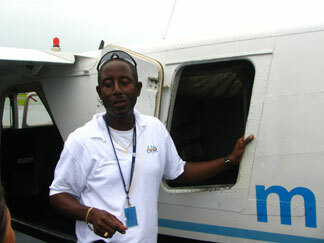 My Mom called Carl Thomas of Anguilla Air Services. 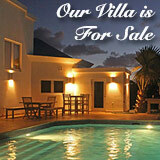 He told her that they had been super-busy, with flights to and from Anguilla/St. Maarten. All of the jets were departing and arriving at Princess Juliana Airport in St. Maarten, and he was bringing people to-and-fro. Holding her breath and keeping her fingers crossed she asked Carl if he had room the following day. He did! My mom booked two seats for her and my dad. 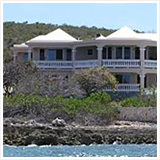 They went to the Anguilla airport an hour prior to takeoff (but could have gone later, especially on a regular day). After checking in at the flight desk, they paid their airport tax. "Just Like The Old Days"
It was "like the old days," my Dad said. You go to the airport and get on a plane. No people yelling at you to take off your shoes. Yes, you're scanned as you pass through security, but it's such a small airport, you basically go and get on the plane. And that was a busy day, when the ferries were closed. In other words, the reason we most of us don't like flying is gone. They sailed through security and waited in the departure lounge for their flight. Soon, they were flying from Clayton Lloyd Airport in Anguilla to Princess Juliana in plenty of time to catch their Anguilla flight to New York. The other point both my parents made is that it was fun. 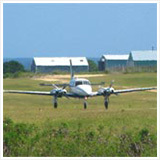 It's like taking a mini-air tour of Anguilla and St. Maarten. You never climb above 1,000 feet, so the views are terrific and the flight is smooth and relaxing, even though the seas were so rough that the ferries were shut down again. See below to watch the take off video. The flight took 8 minutes! What a quick and effortless way to arrive in St. Maarten. And you arrive right at the airport. No taxies to St. Maarten Customs, etc. 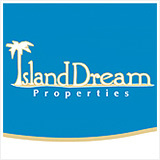 You breeze through Customs right in Princess Juliana! And if you are traveling with only carry-on, you bypass St. Maarten Customs completely. Special Bonus: Even if you have checked luggage, you don't have to go through St. Maarten customs and collect your luggage and re-check in for your flight home. 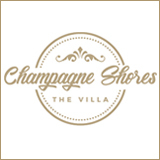 Ask for the VIP service and they will arrange all of that for you, and even print your next boarding passes! Update 2016: The VIP service no longer exists, sadly. Today, when you arrive in SXM and are flying to AXA with Anguilla Air Services, they will help you clear immigration and collect your checked luggage before taking off to Anguilla. When returning (flying from AXA to SXM), you must re-check your bags and clear immigration before checking into your international flight. 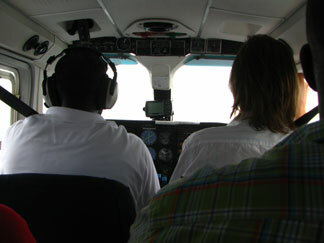 My parents are happy to have this alternative in getting to SXM. Actually, they were so impressed at the ease of flying over and arriving right at the airport, it's their preferred hop to or from SXM. 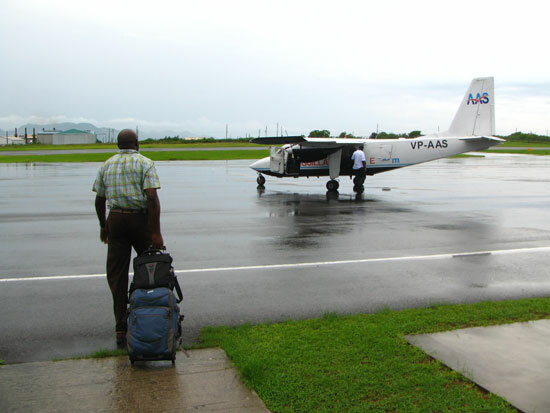 A Note on Luggage: Anguilla Air Services allows for 1 piece of checked luggage (45 lbs) and 1 carry on (10 lbs). Each additional bag can be brought on at a fee. Click here to read Yuki and my report on St. Maarten to Anguilla flights! 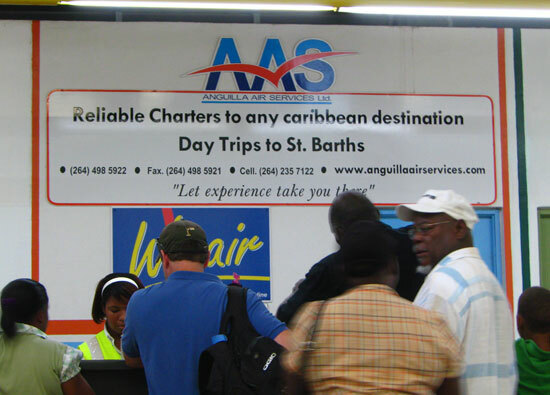 Anguilla Air Services runs 7 days a week to St. Maarten with 3 regular flights to and from Princess Juliana Airport, and makes a daily trip to St. Barths. The flight to Anguilla costs around $110/person for travel from St. Maarten, one way as of 2016. 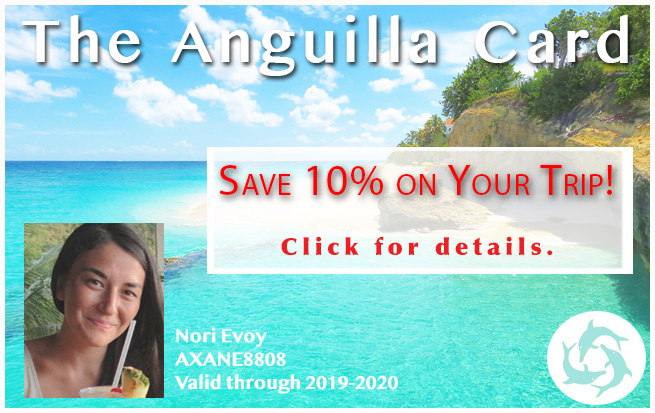 They also offer Anguilla flights to Antigua/Barbuda, Nevis, Saba, St. Barths St. Kitts, The Grenadines, Tortola, and Virgin Gorda. The charter rates are quite reasonable.